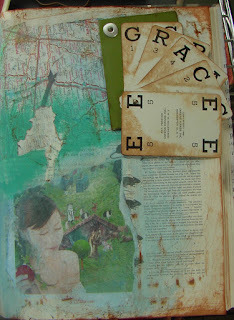 I love this page I did in my sisters Altered Book. I am hosting a Round Robin called the Altered 8. It has been great to look in the mail to find more fun books. We celebrate the end with a praty this Saturday. We are all looking forward to seeing our books again and inhaling each page!